A castaway is a person who is cast adrift or ashore. While the situation usually happens after a shipwreck, some people voluntarily stay behind on a deserted island, either to evade captors, the world in general or just to think very peacefully about football. Mayo football. On the 31st of March 2019 Mayo have the chance to win their first National League Title since 2001. Many GAA people actually forget that the Galway team we beat that day later went on to take Sam Mc Guire back to the town of the Tribes in September 2001 after trouncing Meath. Some of the Galway stars on that day they lost by a point to Noel Connelly and company were already household names. John. Donnellan, Padraic Joyce, Derek Savage, Michael Donnellan and Shane Walsh all got on the score-sheet but Mayo prevailed and lifted the silverware in Croker. 18 years on and all the media is as usual talking up Kerry. Tomorrow this young Kerry team have the potential to be household names in the near future and many of them like Clifford, O'Connor, O'Shea and Dara Moynihan already are well known to the GAA world. Peter Keane, like his counterpart James Horan, has trusted youth this spring and they both have more to gain by trusting youth again tomorrow. What will be interesting to see tomorrow is whether the Kerry sideline learned from their defeat to Mayo a few weeks ago in Tralee or not. Mayo people will say we almost threw that game away, but the question is will Kerry change things accordingly? For the seasoned Mayo footballers, tomorrow could well be their last chance to claim silverware in a final in Croke Park. That thought will not be to the forefront in the players’ minds but it will strike a chord with the supporters, and it will galvanise the Green and Red army to generate thunder in the stand. The Final presents both Kerry and Mayo with a great opportunity to win a national title in Croke Park. These chances don’t present themselves too often and both want to give Dublin something to worry about. 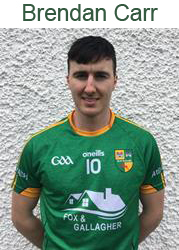 One Mayo player that could very well benefit from being an unknown quantity represents the only junior club in county Mayo with a player in the current senior county panel. Traditionally Mayo teams are ONLY made up from the big clubs. This tradition includes the big county town teams like Castlebar Mitchels and Ballina for example or stalwart strong clubs like Hollymount / Carramore, Ballintubber and Knockmore. James Carr is not from any of these clubs. In fact he might as well have been playing for the local GAA team from a marooned island in the Caribbean ocean like the photograph above. Junior players in Mayo don't "make it". Oftentimes small rural clubs use this crutch as a comfort blanket down through the years. Some clubs even give up on players because they believe it will never happen. There are examples of this happening nationally too. 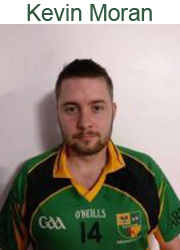 Dublins Eamon Fennell switched up clubs and joined the bigger St. Vincents in his area to cement his place in the winning Dublin panel around the 2011 season. Carr is most definitely not a household name but his starting place is a serious achievement by the Ardagh club in North Mayo. Edwin Mc Greal the Mayo News Sports Journalist said on Twitter "Starting James Carr is a big call by James Horan. He's highly rated by those who've worked with him in recent years though, injuries holding him back before now. What a day for Ardagh though. The first player from your club to ever start for Mayo and it's in Croker for a final!". Mayo people are a little nervous for James as it's big pressure on young shoulders but we believe in him too. He holds a recent All-Ireland county medal with the Mayo under 21 team and is well respected by his elders in the Mayo camp. We ponder the time when a fresh-faced Andy Moran came on against Dublin for a un-orthodox half-back switch and ended up turning an All-Ireland semi-final game around at Croke Park with his first ever championship goal. A dream to be realised for Carr tomorrow and all of us are roaring him on-wards and up-wards. We all know Andy is phenomenal, but every corner back also knows the former player of the year and his game-plan now. Kerry lads won't be familiar which way Carr is going to turn, whether he likes to play from behind his man or in front. Fingers crossed, this starting spot could be a masterstroke by James Horan! He will have earned this in training over the winter. The current Mayo team is in a position to finish games stronger than we start them which is huge. We have a great record against Kerry in recent years to so there is no reason for any of the Mayo GAA faithful not to be enthusiastic ahead of the final. Maybe former losing traditions in Mayo are finally about to change? 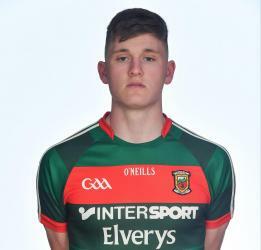 Our counterparts in the south-west have had many JUNIOR world-beaters like Darren O'Sullivan and Bryan Sheehan play and win at the highest level for the Kingdom but its a new departure for Mayo. I welcome it and so should any player that has played at the Junior and even Intermediate level of their county. It's harder to win in the doldrums of Junior football over any of the Senior divisions and that's a fact. Our Mayo Junior football star is lucky he ever played football as his club clung to existence since its formation. Ardagh is a parish and village in North Mayo, located slightly to the south of Ballina town. It takes its name from an ancient ecclesiastical site, which was either a Church or a small monastery, and is derived from "Ard Achadh" in Irish. The first record of Ardagh fielding a GAA team was in 1908 when they played local rivals Knockmore in a challenge game. Although there was a keen interest in football in the area, no official team existed in Ardagh until 1929. Unfortunately that team disbanded in 1932 when a lorry in which the team were returning from a playing a match in Skreen crashed and many of the players were injured and never played again. Another team was affiliated in 1944 but due to immigration, was disbanded in 1946. Unfortunately the county of Mayo suffers greatly from emigration historically and even up until the present day. Emigration will always be in our county. The resilient Ard Achadh people didn't give up and in 1972 a new club was formed named Ardmoy (Ardagh and Moygownagh parishes). This club fielded teams at Junior level and at Underage and played a big part of reviving the game in the area. Ardagh GAA club was officially formed again at a meeting in “The Hut” on 16th Nov 1978. A set of jerseys were purchased with horizontal Green, Gold & Black stripes. Home games were played in Massey Campbell’s field and the first Ballina United on 27th Nov 1978. Ardagh have fielded teams at Junior, U21 and in all underage competitions. The silverware cabinet is not very big in Ardagh and scarce titles won go back to a Junior Exclusive competition in 1995. Many bleak years followed and amalgamation had to happen again at Underage Level with Moygownagh under the name Ardmoy in 2000. In 2009 the two clubs joined at Junior Level again under the name Ardmoy GAA. In 2010 the gap between the ideal scenario of the Gaelic Games hierarchy at GAA head quarters in Dublin and the harsh reality of local GAA reared its ugly head. Ardagh almost lost everything and nearly failed due to GAA rules regarding amalgamations and property. Only 9 years ago in 2010 they re-formed under Ardagh GAA and in 2014 the Junior team gained promotion from Division 1E of Mayo Senior League and again to 1D the following year. Only last week the talk of the village was James Carr in action as a substitute with a big win over Monaghan during the Allianz NFL in Castlebar. Tomorrow history will be made as the first player from the Ardagh club to ever start for Mayo and the venue is in Croke Park for a final. 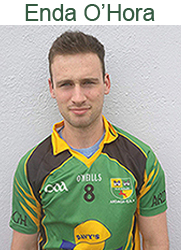 If you are a Junior club player out there and you have been told you had a better chance playing for your county growing up on a white sandy Caribbean remote island, than you do at your "small club" just think of young James Carr of Ardagh. Article taken from Mayo GAA page Facebook.